The first people to cross into North America from Eurasia did so by travelling through the Bering Strait, or so the theory goes. A new theory has emerged proposing a coastal route into the continent, but evidence has been lacking. 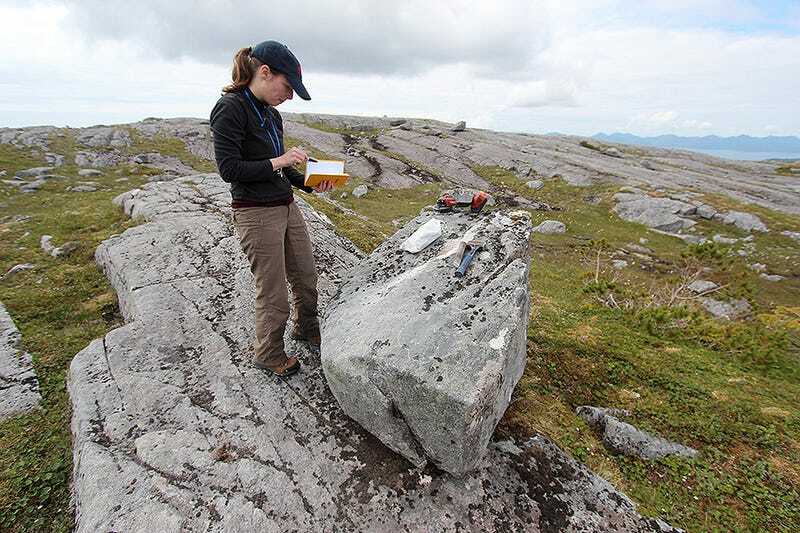 A recent analysis of boulders, bedrock, and fossils in Alaska is now providing a clearer picture, pointing to the emergence of a coastal route some 17,000 years ago. 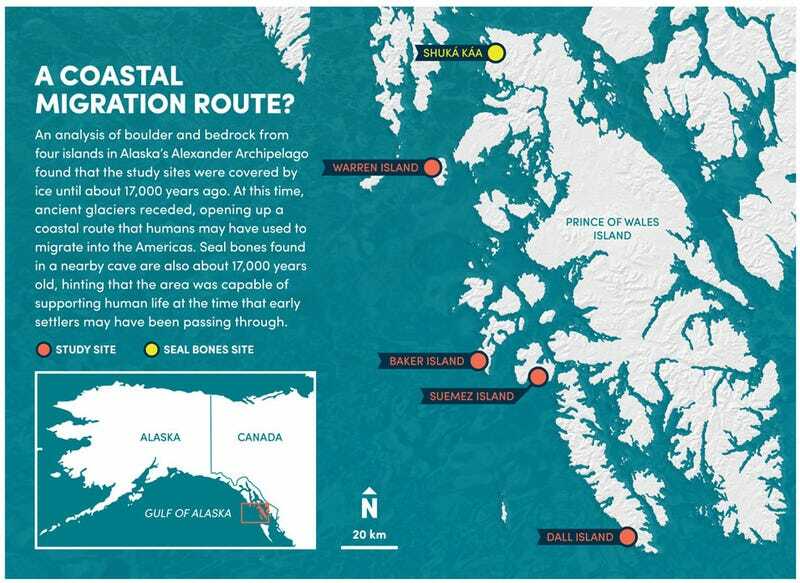 New research published last week in Science Advances is offering some of the first geological evidence of an Alaskan coastal migration route that would have made it possible for humans to cross over from Eurasia into North America when the Ice Age was still going strong. Importantly, the paper also includes evidence of aquatic and terrestrial life in the region during the same time period, which means venturing humans would have had access to food. 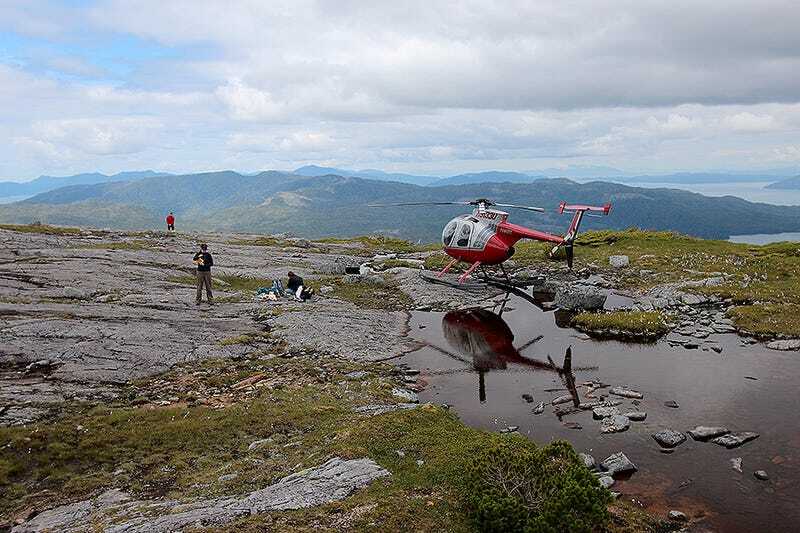 The University of Buffalo researchers aren’t saying humans definitely travelled along this coastal route—they’re just saying the conditions were set for human migration into North America starting around 17,000 years ago. Hence the Coastal Migration Theory, also known as the Kelp Highway Hypothesis. Instead of travelling through an interior route, it’s counterargued, human migrants hugged the Siberian, Beringian, and Alaskan coastlines, eventually making their way into North and South America. There’s practically no archaeological evidence to support this theory, but the recent discovery of 29 footprints on the shoreline of Calvert Island in British Columbia, dated at 13,000 years old, teases at the possibility. Complicating matters, scientists aren’t even sure if the glaciers completely blocked the coastal route, or when the ice sheets retreated to make the route available for human migration. This paper addresses a major gap in our knowledge about how, and potentially when, humans colonised the Americas.